This Premier Bundle is Fully Endorsed by Silhouette! Brand New Silhouette Cameo 3 Limited Edition Teal with Bluetooth, Touchscreen and Manufacture’s Warranty. No Internet Connection Required, No Need to Buy Designs or Fonts, This Bundle lets you Create Your Own Designs Without Spending More Money. 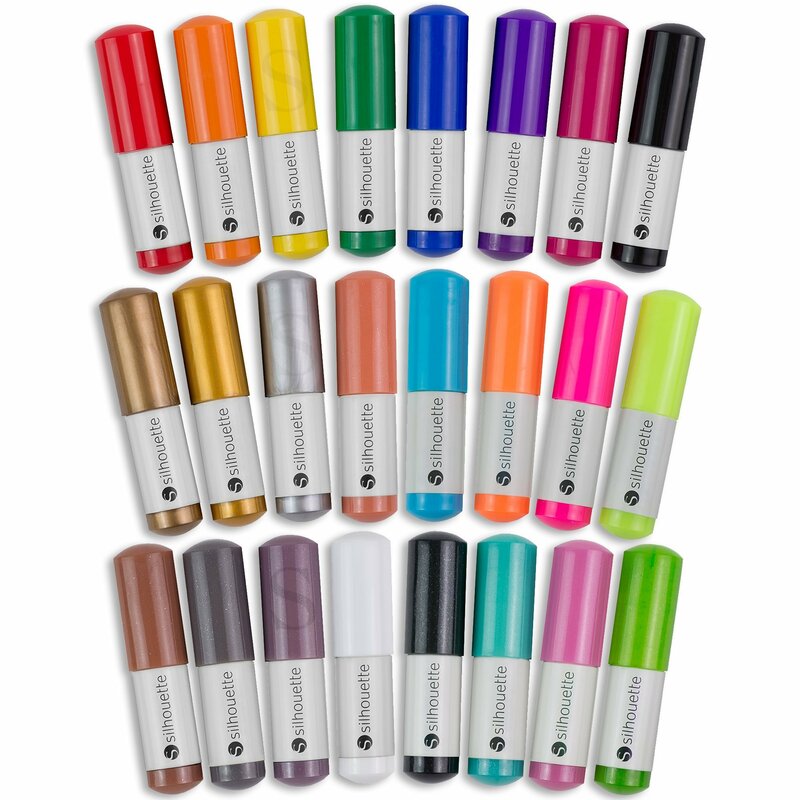 We are the premier seller of all Silhouette products. This kit will can help you create many projects right from the start! 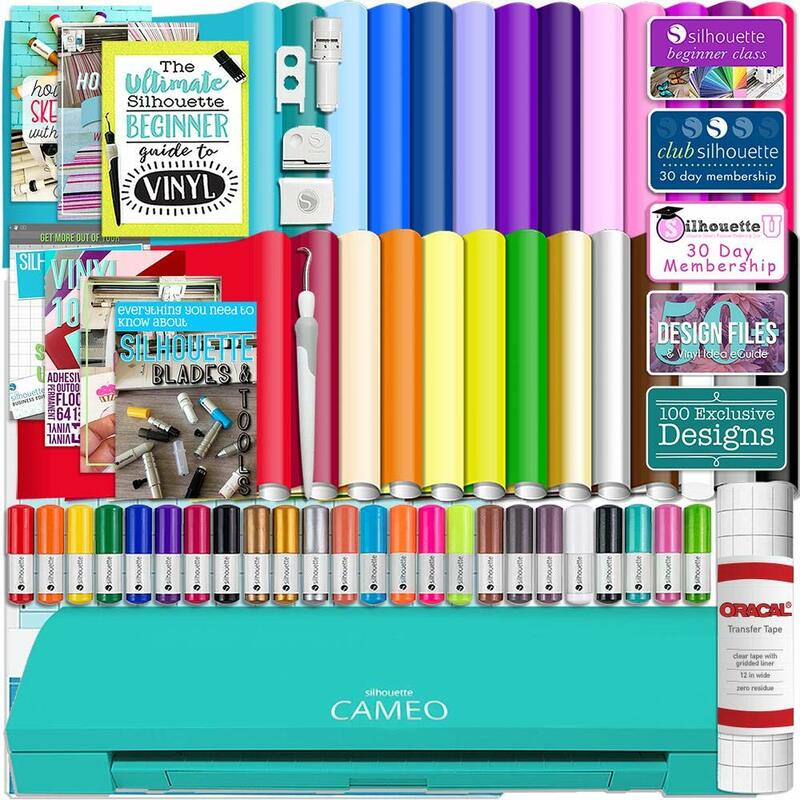 The Silhouette CAMEO 3 is the ultimate DIY machine. Like a home printer, it plugs into your PC or Mac with a simple USB cable or utilizing built-in Bluetooth. 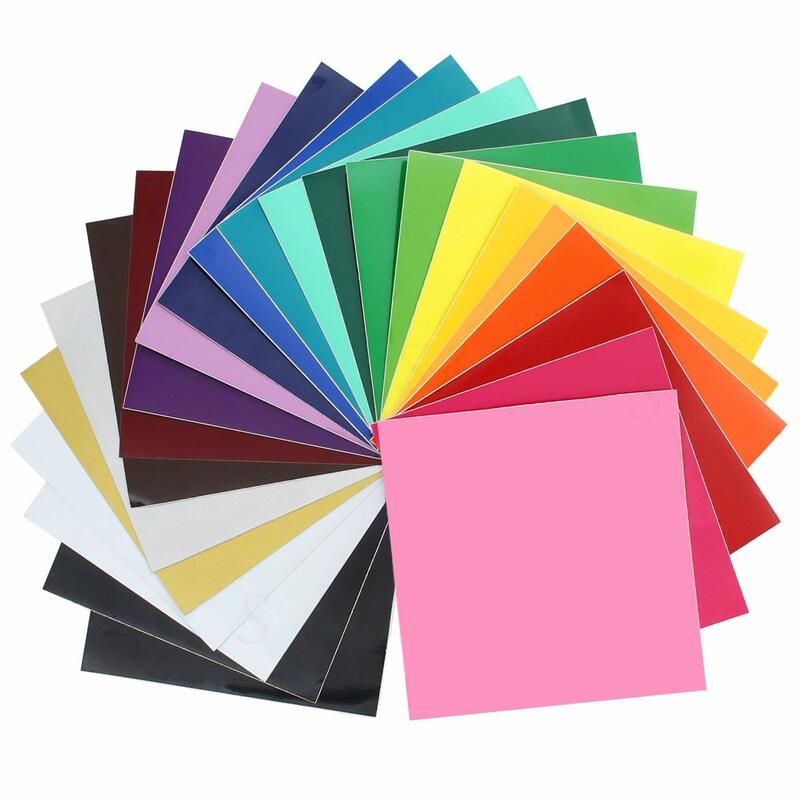 On the other hand, as a substitute of printing it uses a small blade to cut paper, cardstock, vinyl, fabric, and other material up to 12 inches wide and 10 feet long. When the blade is replaced by a pen, the CAMEO will sketch as a substitute of cut. It may be controlled from a pc or save your art to a USB and plug right into the Cameo. The machine also has the ability to register and cut printed materials and is PixScan compatible. This Premier Bundle is Fully Endorsed by Silhouette! 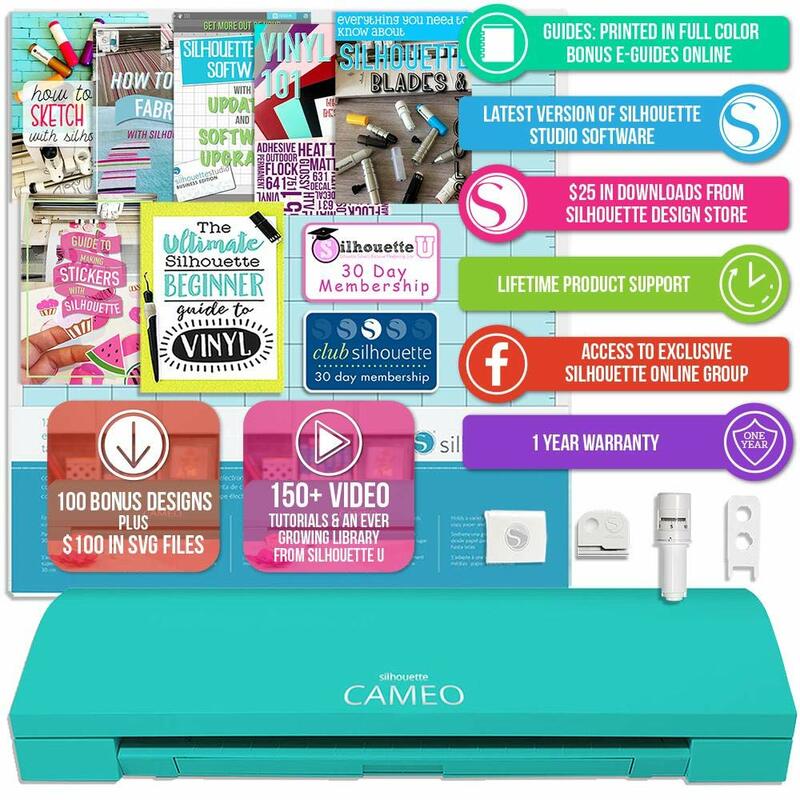 Brand New Silhouette Cameo 3 Limited Edition Teal with Bluetooth, Touchscreen and Manufacture’s Warranty. No Internet Connection Required, No Wish to Buy Designs or Fonts, This Bundle means that you can Create Your Own Designs Without Spending More Money. 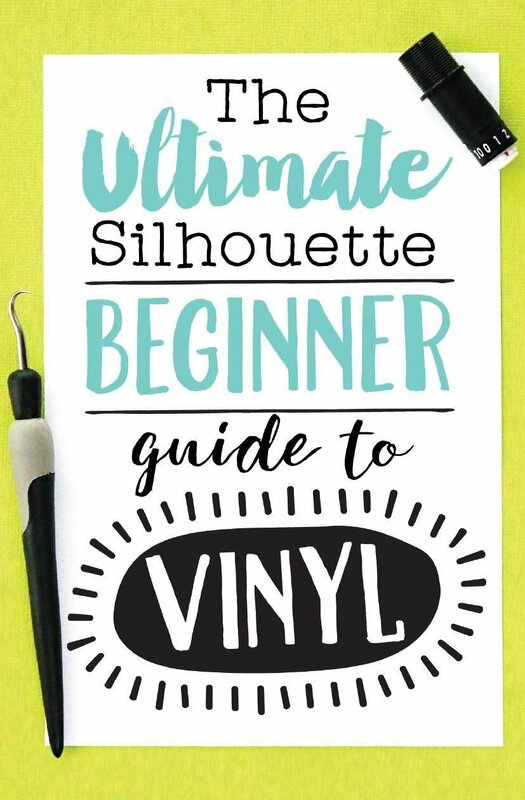 Vinyl Application Guide by Silhouette School – Printed with Full Color Photos PLUS 7 Bonus E-Guides by Silhouette School (Link Situated within Vinyl Idea Guide Card), Online Cameo 3 Instructional Class – Reduce your learning curve and get crafting faster, 1 Month Membership to Silhouette U – ACCESS TO OVER 150 VIDEOS!! !, Guides, Q&A, and More, 1 Month Membership to Silhouette Club – Amazing Monthly Perks from Silhouette. 100 EXCLUSIVE DESIGNS with an ADDITIONAL 100 BONUS DESIGNS including 50+ .SVGs valued at over $100, CUSTOMER SERVICE & LIFETIME PRODUCT SUPPORT, $25 in digital downloads from Silhouette’s Design Store ($25 Code is accessed all over registration), Studio Software for Windows Vista / Windows 7 and higher and Mac OS X 10.8.5 and higher, USB Cord, Power Cord 110V-240V. ** Make Sure to Follow the Setup Instructions Situated on top of the Cameo Machine.